The most imaginative section of "Epic" starts with shots of the forest that rings the home of Professor Bomba (voiced by Jason Sudeikis), the inventor dad of the film's heroine, Mary Katherine (Amanda Seyfried). Some leaves and branches are in crisp focus. Others are out-of-focus. The images are so entrancing on their own terms that it takes a while to register the creatures in the out-of-focus parts of the shot, disguising themselves against foliage and bark. Then comes a very long, unbroken shot that prowls across a collage of significant objects: the professor's journals and equations, blueprints and sketches, research photos and files. These clerical objects look both "real" and illustrated; you can see dirt, dust, fingerprints. 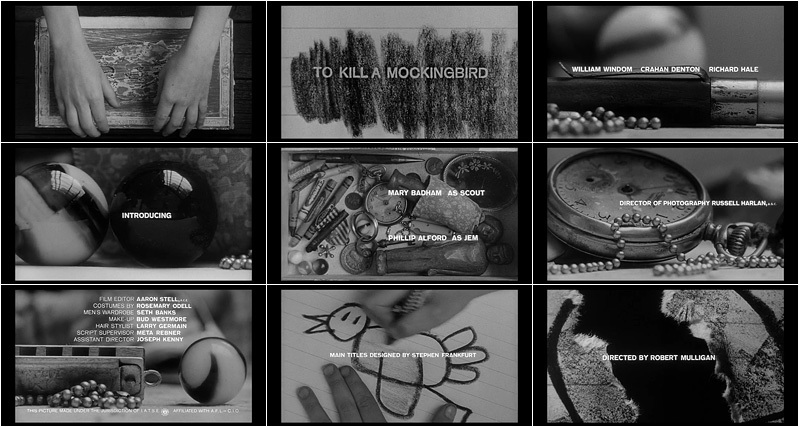 The imagery may remind film buffs of the opening credits of "To Kill a Mockingbird," which probed the contents of a box that Scout left for Boo Radley. Before you get excited about "Epic," I should warn you that this sequence isn't representative of the film — not at all. What I've just described are the movie's end credits. They're afterthoughts, designed to keep older children amused while parents help little ones don their shoes and backpacks before tromping our for pizza. But they offer hints of what "Epic" could have been, were it not such a slave to clichés of modern American cartoon-making. The latest from Blue Sky Studio ("Ice Age," "Rio") is different from whatever Pixar, Disney or any other big animation outfit happens to be offering this year, but not so different that you should kick yourself for skipping it. There's a protagonist grieving over her mother's recent death, and a brilliant but scatterbrained father who loves his child but isn't the strong parental figure she desperately needs. There's a hidden world akin to Alice's Wonderland that the inquisitive heroine explores. There are beleaguered good guys that she joins in a war against bad guys that represent chaos and decay; their leader is a funny despot with a European accent. There's a mythology that will be fulfilled when good guys take a fragile pod on a journey toward a prophesied end. There's a young warrior with whom the heroine forms a flirtatious friendship. There's a tough older warrior who mentors the younger warrior. There are comic sidekicks, and a beautiful forest queen who utters platitudes about the cycles of life and then dies. The good guys are the Leafmen, tiny forest sprites that look like humans. The bad guys are the Boggans, who look like storybook drawings of goblins or trolls. The sidekicks are two snails that worship the Leafmen and desperately want to be like them, but can't be, because they're snails. Josh Hutcherson of "The Hunger Games" provides the voice of the young warrior, Nod, who's physically gifted but immature; like Seyfried's Mary Katherine, he speaks with the circa-2013 colloquialisms and inflections of pretty much any teenager you'd run into at any mall anywhere in America. There's nothing special about him, or Mary Katherine, or Ronin, the older warrior voiced by Colin Farrell, or Mandrake, the funny-vicious bad guy voiced by Christoph Waltz, or Mug and Grub, the sidekick slugs voiced by Aziz Ansari and Chris O'Dowd. There's nothing special about Queen Tara, who's voiced by singer-actress Beyonce Knowles, or about Knowles' post-credits song, which will get an Oscar nomination anyway because the original song pickings are always slim. The compositions are attractive but not striking, the action sequences engaging but rarely thrilling. Danny Elfman's score sounds like the kind of score you'd expect an animated forest adventure to have; I can't imagine anyone claiming that he phoned it in, just as I can't imagine anyone claiming that the director Chris Wedge ("Ice Age," "Robots") phoned it his direction, or that the screenwriters phoned in their writing — though the fact that there are five credited writers suggests that what we see onscreen wasn't much like the first draft, or the second, or the ninth. Wedge appeared to confirm this in a 2012 interview with USA Today, in which he described the source, William Joyce's "The Leaf Men and the Brave Good Bugs," as "a wonderful book" but "a quaint story... We wanted to make a gigantic action-adventure movie." Fair enough. Who doesn't love a gigantic action-adventure movie, especially one that's animated? The problem isn't that the vision changed in the transition from book to screen — that's true of most adaptations — but that it changed in ways that made the end product unremarkable. Look at the cover of the book, then look at any second from the film that it supposedly inspired; where the former is obviously the work of a singular consciousness, its cinematic spin-off has as much personality as a minivan. Films like "Epic" aren't so much created as manufactured, then released into multiplexes, where they're viewed by children and parents who treat them as two hours' worth of air conditioning with popcorn. The movie's marvelous trailer hinted at melancholy splendors, and an excess of beauty and feeling, but when you're actually sitting there watching the darned thing, it's "Ferngully" all over again. 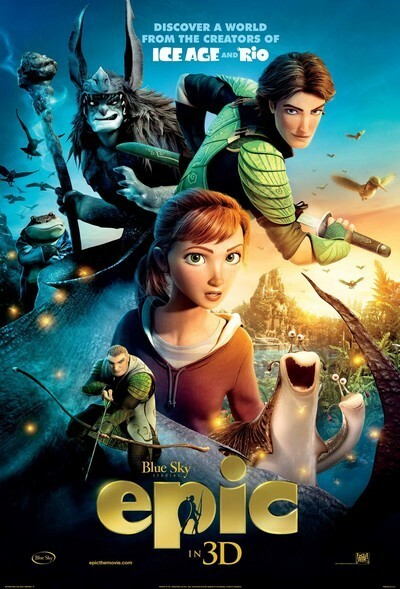 The ratio of humor and action and parent-child bonding is so formulaic, and the character design and molded-figurine-like animation so typical of the genre in the age of Pixar (and Pixar imitators), that "Epic" evaporates from the mind within minutes of leaving the theater. The only reason this isn't a one-star review is that it would not be fair to blame "Epic" for failures of imagination that seem systemic. The movie is one more example of post-"Toy Story" bet-hedging by studios that want cartoon features to be different enough from other cartoon features to justify their existence, but not so different that they can't be used to sell Happy Meals and T-shirts and video games — and certainly not so original that audiences might have to come to terms with the shock of the new. While watching "Epic", it's hard to picture filmmakers as defiantly unique as Hayao Miyazaki ("Spirited Away," "Ponyo") or Jean-Loup Felicioli and Alain Gagnol ("A Cat in Paris") or Marjane Satrapi and Vincent Parronaud ("Persepolis") thriving under American studio parameters. It's equally hard to guess how directors as original as Brad Bird ("The Iron Giant," "The Incredibles") or Shane Acker (2009's "Nine") or Henry Selick ("Coraline") produced work of passion, integrity and surprise, and got them seen by mainstream audiences. The most startling and delightful animation in American studio pictures tends to happen in a film's margins — in brief digressions from the main story (see the dream interludes in "Kung Fu Panda 2", which seemed to have been drawn in oil pastel) or in post-credits sequences that often feel as intimate as a tour of an artist's workspace. The end credits of "Epic" are so personal and lovely that I could have watched them for two hours. I wish I had.